Part of the reason I love my job is learning something new every day. There’s one drink that has fascinated me more than any other in recent years (and it’s one of the most complicated) – sake. So I was excited to attend a masterclass from Akashi-Tai Brewery to learn more. Sake, pronounced ‘sah-keh’, is Japanese for ‘alcohol’ (the Japanese call ‘rice wine’ nihonshu). While commonly referred to as rice wine, it is in fact a beer. 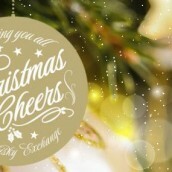 However, it should be treated as you would a wine, due to the strength (15-20% abv). Once bottled, it ages in a similar way to a white wine, so does not benefit from ageing, and once opened, should be consumed within five days (if you put the lid back on each time you pour some, otherwise it’ll be more like two). Four ingredients are used to make sake: rice, water, yeast and koji (a naturally occuring fungus). There are 100 varieties of rice permitted for use in sake production; not every type will produce drinkable sake (another similarity to wine, where you have ‘table’ grapes and wine-producing grapes). The grains are milled to remove the hard outer layer (bran), leaving the starch that is in the centre – simply put, the more bran you take away, the finer and smoother your sake will be (and, in general, more expensive as the amount of rice needed to make a bottle is much higher). The rice is then washed with water and steamed at around 40°C so that it starts to ferment. The koji is sprinkled onto the rice which helps to turn the starch into sugar, and when combined with water and yeast begins to produce alcohol. This is obtained via a three-week fermentation at around 10°C, which produces sake at around 19% abv. At this (final) stage, a small amount of distilled alcohol may be added to increase the volume and abv. Honjozo sakes are milled to at least 70% and includes a small amount of distilled alcohol, which in Akashi-Tai’s case is molasses-based. Nose: Pure breakfast cereal – Rice Krispies and Corn Flakes. 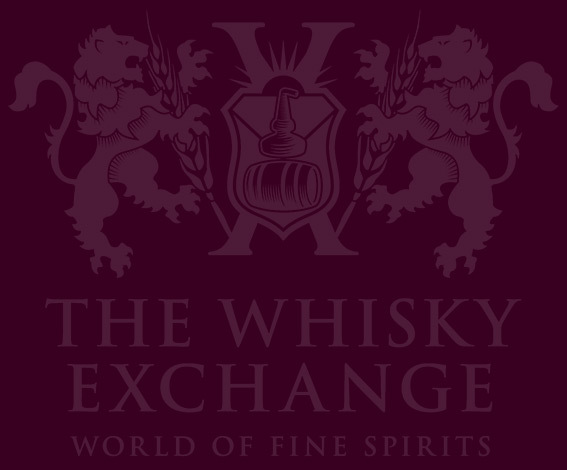 Palate: Malt-rich and refreshing, with crisp acidity and a hint of fruit – still Dr Pepper? Finish: Short to medium, dry and malty. Drinking suggestion: This is a light and refreshing aperitif and doesn’t need food. Other sizes available: 30cl and 180cl. Made in the same way as the straight honjozo above, the genshu denomination indicates this is bottled at natural strength, without the addition of extra alcohol. Nose: Similar aromas to the honjozo, but more intense. Palate: Malty, with the creamy texture complementing the acidity. Finish: Dry, malty and long. Food-match suggestion: Light chicken dishes; nothing too spicy. The rice was milled to 40% and some molasses-based alcohol was added. Nose: Intense and fragrant, with a Fruit Salad sweet note that reminds me of Hong-Kong Baijiu. Palate: The fruity character continues, turning into tart rhubarb. Finish: Medium in length, with a lasting impression of rhubarb and custard sweets, despite being bone dry. 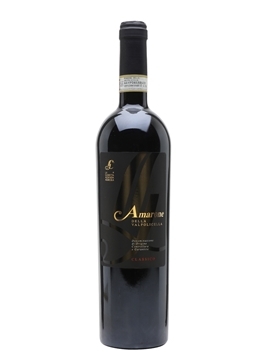 Food-match suggestion: This would be an excellent match with tuna carpaccio. Junmai means ‘pure’ and indicates that no distilled alcohol has been added. Nose: This combines aromas found in the previous sakes; both the malty and Fruit Salad sweet notes are present. Palate: Earthier than the nose suggests; a pure Shreddies-like maltiness combines with porcini mushrooms. Finish: Medium in length, with the maltiness running through. Food-match suggestion: Richer foods, such as teriyaki chicken. An example of a traditional producer making an innovative product. This is fermented in full-size bottles using the traditional method (méthode Champenoise) and then decanted into smaller bottles. Nose: Intriguing combination of hoisin and hickory barbecue sauces. Palate: Aggressive mousse that is light but foamy, with barbecue sauce, rhubarb, green apple and a hint of grapes – reminiscent of a Moscato d’Asti, but with extra smoky notes. 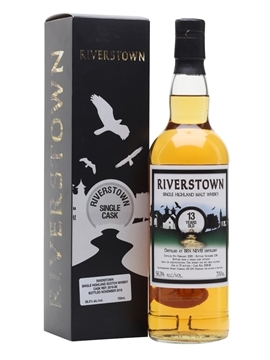 Finish: Short to medium in length, refreshing and light with delicate wheat notes. Food-match suggestion: This is a perfect summery aperitif and doesn’t need food, but will match with lighter desserts, such as lemon sorbet. Umeshu is a liqueur made with ume (an Asian fruit related to the plum). Higher-quality examples such as this use sake as a base. Akashi-Tai macerate ume in ginjo (60% milled) sake for six months. Before bottling, sugar is added to balance out the natural acidity of the fruit. 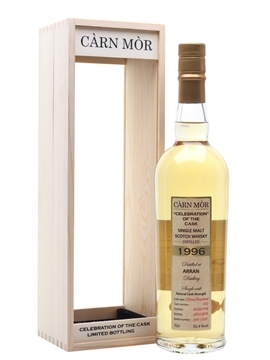 Nose: Intense notes of plums and almonds reminiscent of liquid Bakewell tart. Palate: Syrupy texture, fruit cake and sweet plum compote, with bitter almond to balance the overt sweetness. Finish: Medium to long and mouth coating with pronounced plum and marzipan flavours. Food-match suggestion: Perfect with Christmas cake and mince pies, this can also be matched with fruit cake and Bakewell tart in the warmer months. Combine one part with one part whisky to make a Japanese Mac. The Akashi-Tai range covers a gamut of styles and even includes an aged sake, produced (as many innovations are) by accident. Wanting to see what would happen if unmilled brown rice was brewed, a sake was produced in the traditional way – by all accounts it was terrible. Unsure what to do with it, it was transferred into earthenware tanks, and then when they were needed it was bottled. Left for a year, it was tasted and found to be maturing gracefully. After some further time in bottle, it was deemed to be worthy of release – and so Genmai Aged Sake was born. Sake is a fascinating drink that offers a style to suit every palate, but remains under the radar of many drinkers, although availability is growing. The honjozos and daiginjos mentioned above come in smaller 30cl bottles, so why not pick up a selection and experience them for yourself? 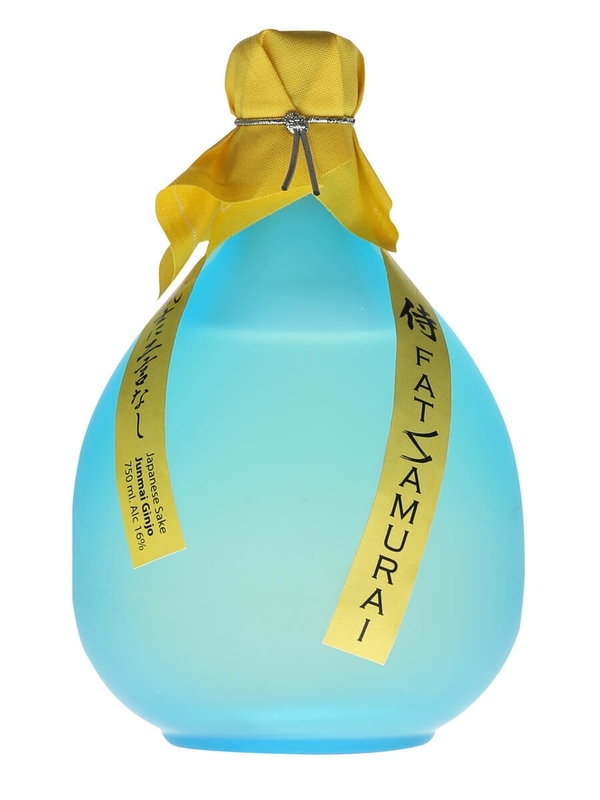 Fat Samurai is a beautiful sake made by the Kaetsu Shuzo brewery in Niigata. Full bodied and dry, this is delicious at both room temperature or slightly chilled and is an excellent match with seafood. 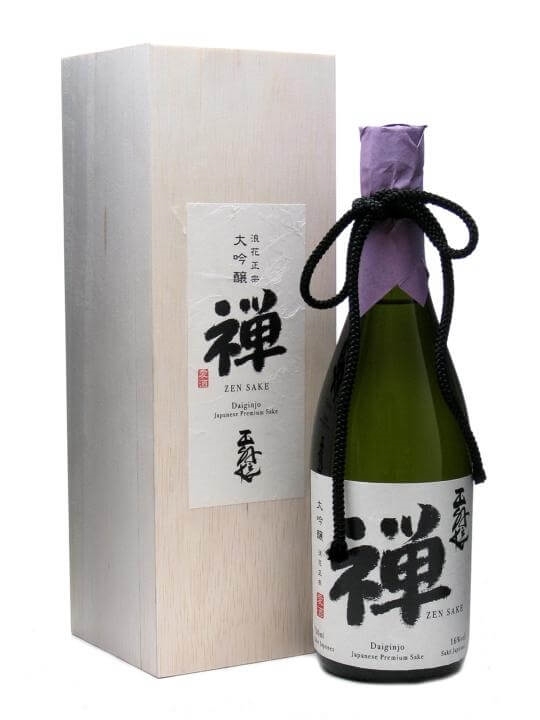 A high quality sake made with highly polished rice and brewed to the highest level of the sake makers arts. Daiginjo indicates that the rice has been milled to leave 50% or less remaining and is best served at room temperature or slightly chilled. 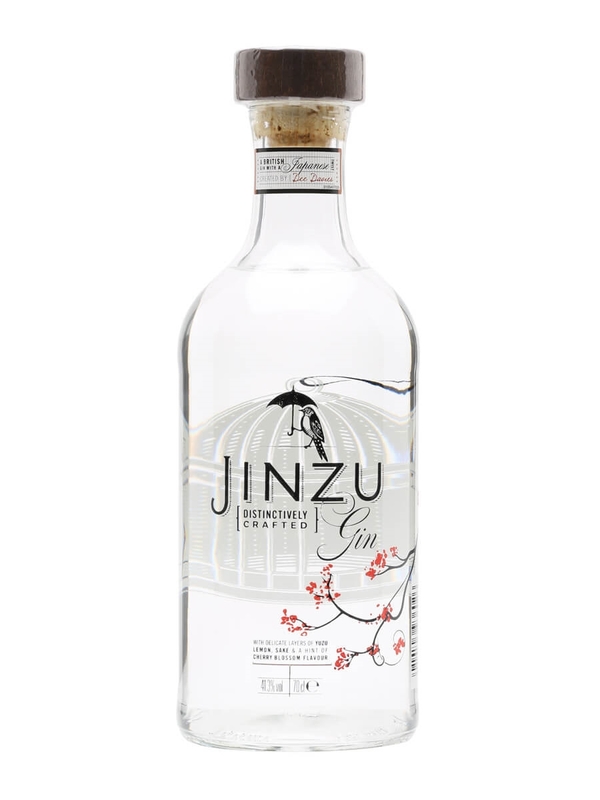 Jinzu is a hybrid spirit, combining Scottish gin from Cameronbridge with distilled sake, cherry blossom and yuzu fruit.